This guide will provide you with information about how you can successfully deliver effective testimony at depositions and in court. It will discuss how to ensure that your testimony is admitted in court and tools that you can use to maximize your testimony. It will also discuss factors courts weigh when considering the strength and credibility of expert witness testimony. There are numerous tips for expert witnesses in providing the courtroom with the most effective testimony possible for the subject matter depending on what the expert needs to get across to the judge or jury panel. These tips often depend on the understanding of the question, the reliable testing methods and relevant content presented to the court. Expert witness testimony is often crucial to enlightening a judge or jury of certain matters or removing confusion about a case or claim with numerous or confounding factors. There are several ways that improving the testimony may provide a better picture of the matter or increase the chances of success in either a criminal or civil case. 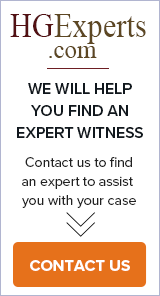 Expert witnesses are used for a variety of reasons, but they are usually part of a claim or case that needs expertise in a specific field of study or subject where their experience and knowledge aid in determining how to proceed in a case. When they initially join the proceedings, they start with compiling data and processing methods to discover what occurred during an incident. When an expert witness becomes part of the courtroom proceedings, he or she may need additional technology to explain the issue to the judge or jury panel, and this could lead to unorthodox processes. When these items become necessary to demonstrate certain issues, the professional may need permission from the courts to accomplish this feat. Before an expert witness presents testimony in the courtroom, he or she will need to prepare by completing various steps beforehand that give him or her the edge necessary to engage the courtroom judge or jury. Knowing these steps may help the professional accomplish his or her goals in informing the court of the necessary subject matter. Expert witnesses can make or break a case. Strong expert witness testimony can strengthen a case and provide credibility to it. However, weak expert witness testimony can undermine a case. Recognizing problems that are commonly associated with expert witness testimony and how to get around them can help lawyers better prepare cases for court. Expert Witness testimony usually has a steep basis in fact, method and process with scientific data and other evidence as a foundation. This may influence how the jurors evaluate the testimony, but other factors may exist that alter their perceptions. 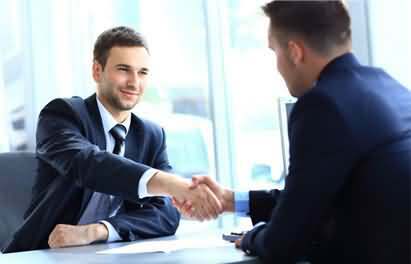 Hiring an expert witness is necessary for many cases where evidence needs to be explained, to connect the proof gathered to one or the other party and in detailing certain factors of the case to the judge or jury. Damages assessments of the injury and all involved factors generally require calculations and multiplication agents that apply to the specific situation along with the severity and degree of harm. How the expert applies these numbers must remain fair and reasonable, so the judge or jury panel will accept a similar number for the plaintiff. There are numerous tips that an expert witness may use to help with examinations, and many of them revolve around the questions and how to answer best with cross-examination. Understanding the question given is crucial to giving the answer that best defines the information and removes confusion from the courtroom. There are various types of damages that may be awarded to the victim in a claim for compensation. When the case involves an injury or incident that caused damage of some sort, there are monetary payouts provided to the plaintiff party when the court case is successful. The wrongful actions of a defending party are what cause the plaintiff to seek economic damages when he or she has suffered. This recovery of monetary compensation is usually calculated by a forensic accounting or business valuation professional with extensive field experience in calculating these damages to if the case is successful compensation may be awarded in a reasonable amount for the factors considered in the judgment. When an expert witness or professional is needed to evaluate economic damages, he or she has experience through several years in business valuation, assessments of markets and economic analysis that is needed for various reasons.